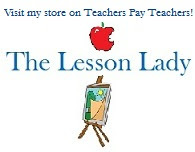 An inspiring blog for teachers, complete with lesson plans and teaching resources to encourage creativity, keep students engaged and prevent headaches and burn-out in the classroom. Since school has been in session for several weeks now, it is the time of open house. 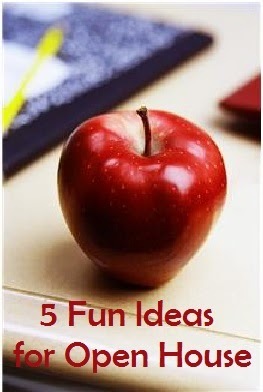 Here are five fun ideas for open house! 1. 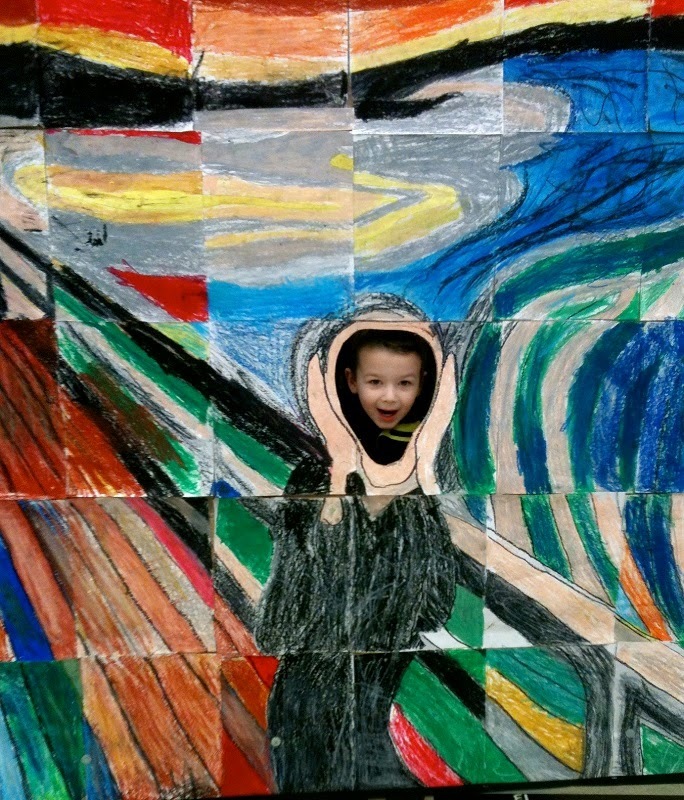 Why I Love Art has a great idea of doing a grid enlargement of "The Scream" which would make a perfect photo op for any students who come with their parents to open house. This could easily be tied into a math lesson as well by enlarging it with a set ratio. I love this idea! 2. Now I'm sure most of us have seen the images of life size child self portraits at each desk. 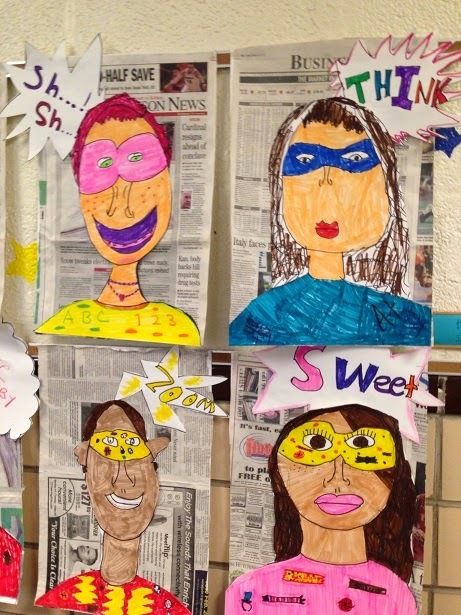 However, I saw this image and thought that this would be an extra fun twist on that by having each child draw themselves as super heroes! I could see many students getting very excited by this idea. This could easily tie into a writing project as well or even just work on adjectives or onomatopoeia. 3. 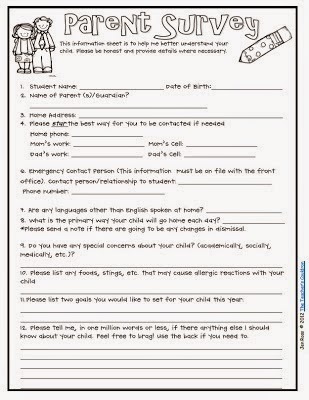 Get to know the parents of your students better with this parent survey from The Teachers' Cauldron. It's great to keep get all of this information that will be so useful the rest of the year! Scroll down towards the middle of the page and click on the link right above the image to download it. 4. Have a scavenger hunt! 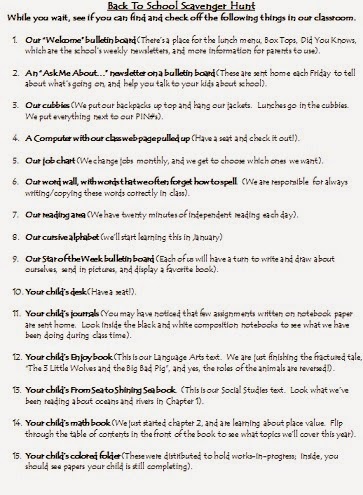 I love this idea of doing an open house scavenger hunt so parents and their children will be able to find everything important in the school and/or classroom. 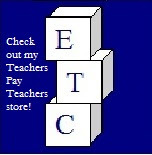 The Cornerstone for Teachers has a great editable scavenger hunt here you can use. 5. 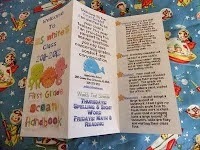 Make a classroom brochure. MS Word has an easy brochure template you can use to create something customized for your classroom quickly and easily. Teaching Blog Addict has some tips here as well on how to create your own open house brochure! If you have a great idea for open house please share it with us below! I would love to hear about it. Fabulous Freebies: Fun Fall Freebies! Fun Fall Art Activities for Fast Finishers! © 2012 Lesson Lady & Etc. Simple theme. Theme images by luoman. Powered by Blogger.